The mean motion of the Lunar Nodes is retrograde in all charts, even if the Nodes are direct in a specific chart. Yes. Neptune is in a balsamic phase with the Natal North Node. Yes, you have the correct working here. Yes. Transiting Mars is in New Phase relative to Natal Neptune. Not wishing to contradict you, but just trying to understand why this aspect is still in a balsamic phase. The Transiting North Node has traveled past the Natal North Node by 28 minutes. Could you please explain why this aspect is still in the balsamic phase? "Not wishing to contradict you, but just trying to understand why this aspect is still in a balsamic phase. 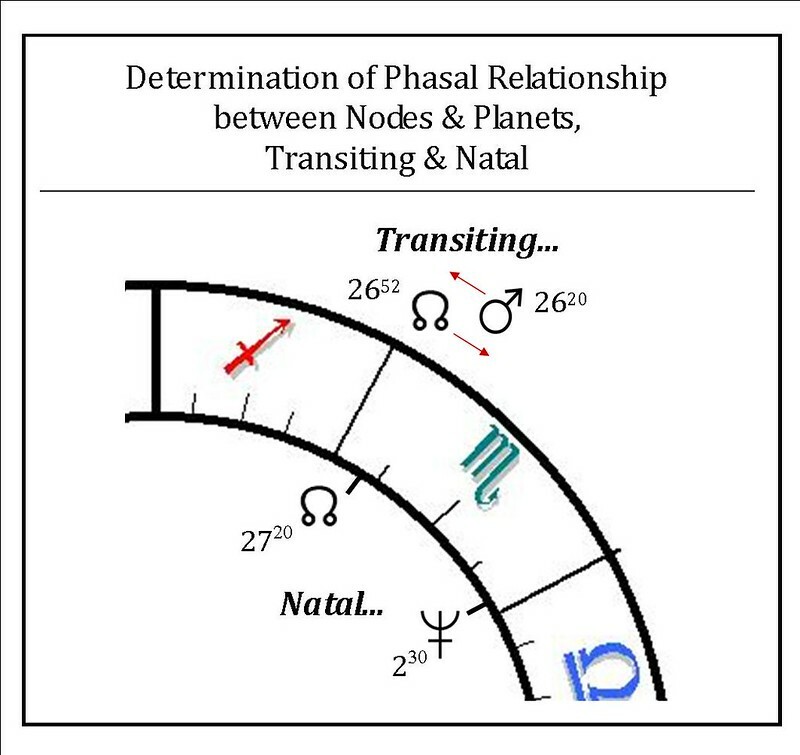 The Transiting North Node has traveled past the Natal North Node by 28 minutes. Could you please explain why this aspect is still in the balsamic phase?" Your are right, and I am wrong. I was pretty blurry eyed when I read your post Linda which became a bit worse going through your examples. So contradict me anytime I am wrong. The figures on the diagram were probably a bit hard to see clearly.